The fit is snug for width - but the bike fits with the standard fold i.e. without removing anything. The bag has compression straps on the sides and I used the backpack straps to pull together end ends; it really does conform to the minimum size of the folded bike. Ah Shoulder straps , that makes it worth hauling.. except strapping the length makes them hard to use.. it seems .. I traveled with my wife to France recently with my Bike Friday folders. I boxed them up in the US with boxes of no more than 62 linear inches. ( airline requirements) The boxes took a while to design. I used rolled up cardboard tubes to prevent the bikes from getting crushed and heavy duty parachute cord and duck tape to secure everything. The cord gives you a handle. This concept works great, you can reuse them, they are lighter than a suitcase so you can ship more stuff inside the boxes, you can ditch the boxes like we did when you arrive, you dont have to tow the suitcase around on your bikes, its easy to find cardboard to build return flight boxes. They are not too easy to carry and are susceptible to rain, our boxes survived a terrible storm in New Jersey and then in France, we couldn't have used them again. Maybe wax them? Good luck. I have three Ikea Dimpa bags total cost $12 plus tax.My Brompton fits into them perfectly,it has carry straps to carry by hand or on your shoulder.The bag is stronger than it looks and carries the bike without a problem.I don't doubt the Dimpa could be modified to work as a back pack if someone is looking for a budget bag.Attaching extra straps to it should not be that much of a problem and the material is really strong. It was suggested that I add my review here. It's been a long time since I've seen a post here that I forgot about this stickie. Paid US$250; came in a few days after shop(Piermont Bikes, NY) ordered it. Pretty comfortable with my 10 kg. bike inside. Unpadded; comes with some plastic shields(4 pieces) that go around the perimeter(top, bottom, left & right sides). Backside and front side, no protection. Try a hunter's backpack (especially a bowhunting one), like the Exo-Mountain Gear (my brother-in-law uses this one). It has a compressible space for the bike and a limited backpack. There are many others in varying sizes by several makers, but this should do the trick for hauling, collapsing (but NOT fold away). None of them are cheap, but they will last a lifetime. 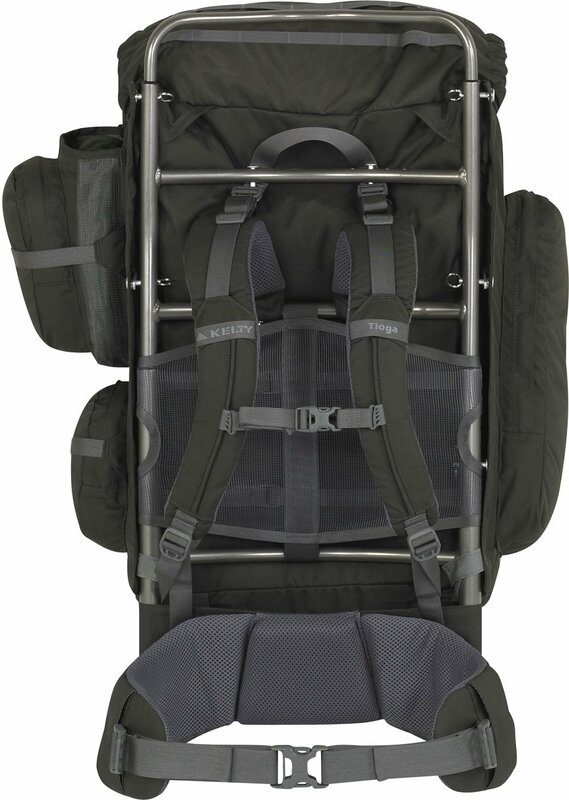 If you just want a carrier, you can get what they call a meat hauler, which is just a frame with straps. Of course it does not collapse, but you can get varying sizes (some quite small and some fold down). 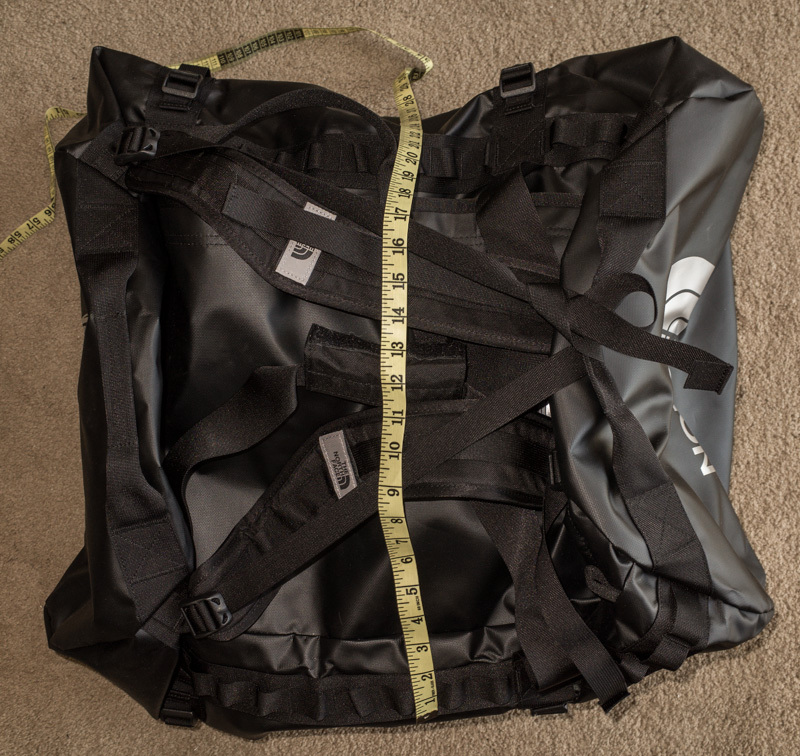 Kuiu makes a very light frame with straps, so it takes almost no space. In many towns there are custom bag makers that work cheap. I know two in my town without even having to ask around. One of them is very invention oriented. Many of the company stock bags I have had for other items work great at the factory but trying to get your tent or whatever back into the bag after the first use is impossible. Slack needs to built into them. Upcoming in the bag market is made for the soon to be produced Bike Friday Pack-it to go inside.. 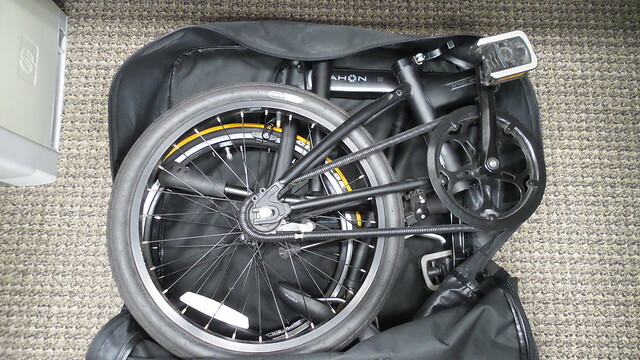 I am getting a Dahon bag for the Dahon bike that should be here by the end of the week, but also a folding dolly so I can wheel the bag down a sidewalk or similar. The dolly folds up fairly small to go on the bike luggage rack while the bike is being ridden. We just came back from a 21 day tour of Sri Lanka with our 20 inch Tern bikes..We had really planned for a backpack tour and taking the bikes was a last minute idea. As a result we couldn't arrange for bags for the bikes. We just did a bubble wrap with extra protection for the delicate parts like the derailleur, seats and handles. When we landed in Colombo, we unpacked and left the bubble wrap at someone's place to pack the bike again for our flight back. We bungee tied our rucksacks on our carriers and did around 600 kilometers, in rides averaging about 50 km. Not the ideal way to do it..makes the bike top heavy and they toppled over a couple of times when we were waiting on some redlighs and I forgot to support the bike upright between my legs..
That is also when I realized that it would be great if I had a bike bag made of very thin lightweight fabric..
Sri Lanka has a rule not to allow bikes on passenger and express trains, that includes folding bikes..unless..they're in a bag..!! We had to often opt for slow trains with.luggage compartment..and pay almost 4 times the amount of our tickets for the bikes..
Lol but those occasions were few and far between..
All in all it was a lot of fun and a great way to know the country and the people. Some use IKEA bags to carry their folders. I received a used T bag for a bromptom folding bike, as a donation/gift. I have a mountain bike and a cruiser, and don't see myself in the near future buying a bromptom( although you never know) the bag is so nice that I was thinking I could just buy the mounting piece and have someone screw it onto the front of one of my bikes. Since the bromptom's whole thing is the ability to use different bags. I could also modify it myself by screwing a hole through the mounting bracket and using wires/some other way of attaching it to the front end of my bike...I was also wondering if I should just resell the bag, and considering it was 160 new (it's in used but good condition) although I would hate to see it go. If I did this how much should I sell it for? Is 50$ too low? Or would it be better to keep it and modify my own bikes?? Why and when would you want to carry a folding bike on your back? If you fall on your back carrying a folding bike on it, your spine could be severely damaged IMO. That could cause paraplegia. That would mean that you cannot feel and use your body for the rest of your life, under the location of the spinal damage. If you need to carry a folding bike on your back, for example to climb stairs with it, while being able to hold safely onto the banister, then use a backpack with an external frame IMO. That might protect your spine from breaking, if you fall with your back on your bike. 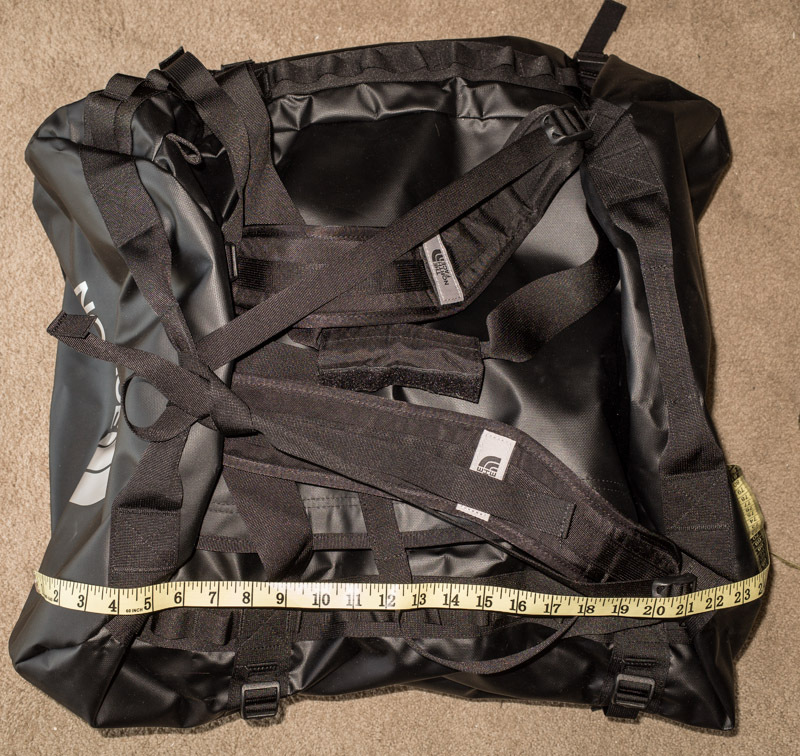 Additionally you could add a protective layer in the backpack, between your back and the bike. That could be a folded coat and a sheet of thin plywood, etc. Last edited by George3; 05-28-17 at 04:08 PM. 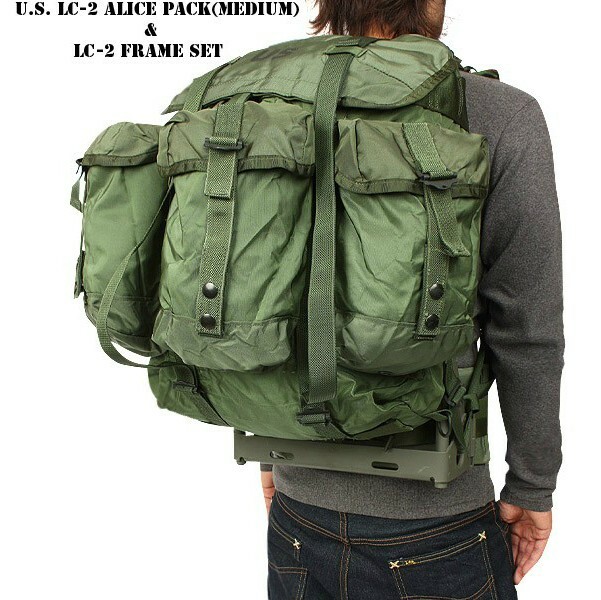 External frame backpacks can be bought cheaply second hand from an army surplus store or webshop. Often the backpack can be removed from the frame, or the bike can be strapped to the outside of the backpack. 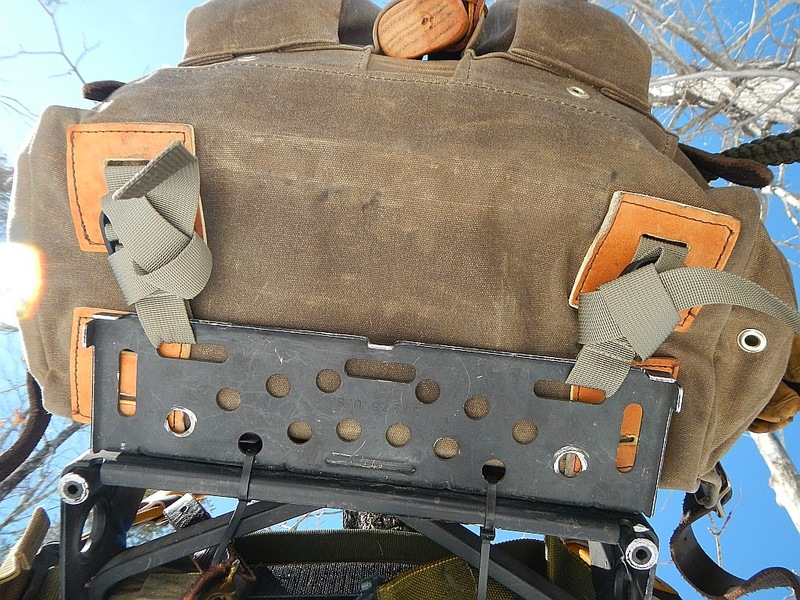 The U.S Army developed the riveted A.L.I.C.E ( All-Purpose Lightweight Individual Carrying Equipment) Frame pack and later various versions of the M.O.L.L.E Frame (Modular Lightweight Load-carrying Equipment) made from injected plastic. 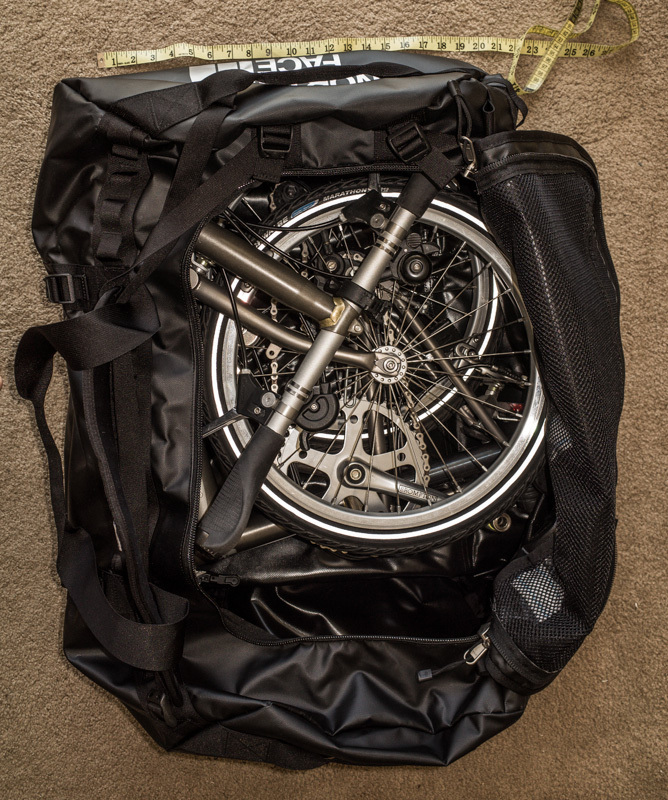 If you want to carry a folding-bike in a backpack, the total weight is very important. So 16" wheels are preferrable over 20". And also the rest of your luggage should be kept at a minimum weight. For example you can carry a lightweight jacket, lightweight rain-clothing, not much coins, etc. Last edited by George3; 05-29-17 at 06:33 AM. This combined shoulder strap and carrier handle seem to be handy. But this girl would be much safer, if she would hold the banister on the stairs. Last edited by George3; 05-29-17 at 09:27 AM. Nice tread, I can find all about folding bike in this tread. This is a view of the Bike Burrito I use to carry my folding bikes. I build these and will be doing a new run of them soon. Reach out if you are interested. Its always better to sew up several rather than a few. These are some of my suitcase bikes. The cool suitcase also converts to a bike trailer. The Grey one is the Dahon Eezz D3. Any help tracking down a DAHON Traveller Front Rack? Anyone got a spare?